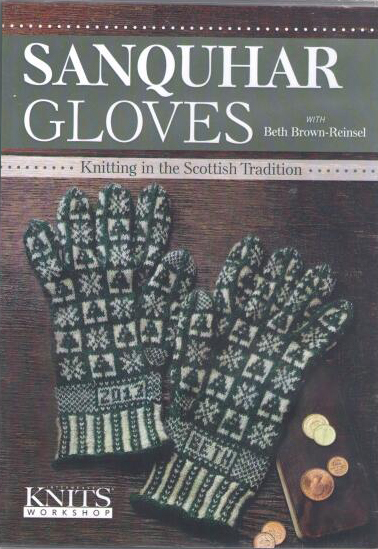 These gloves are a modern adaptation of the traditional Scottish Sanquhar Gloves of the 1800s to early 1900s. 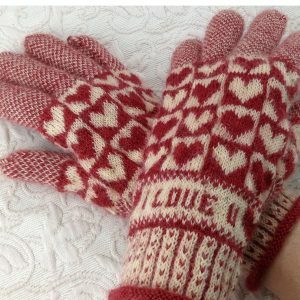 These whimsical gloves are knitted in the round in two colors. 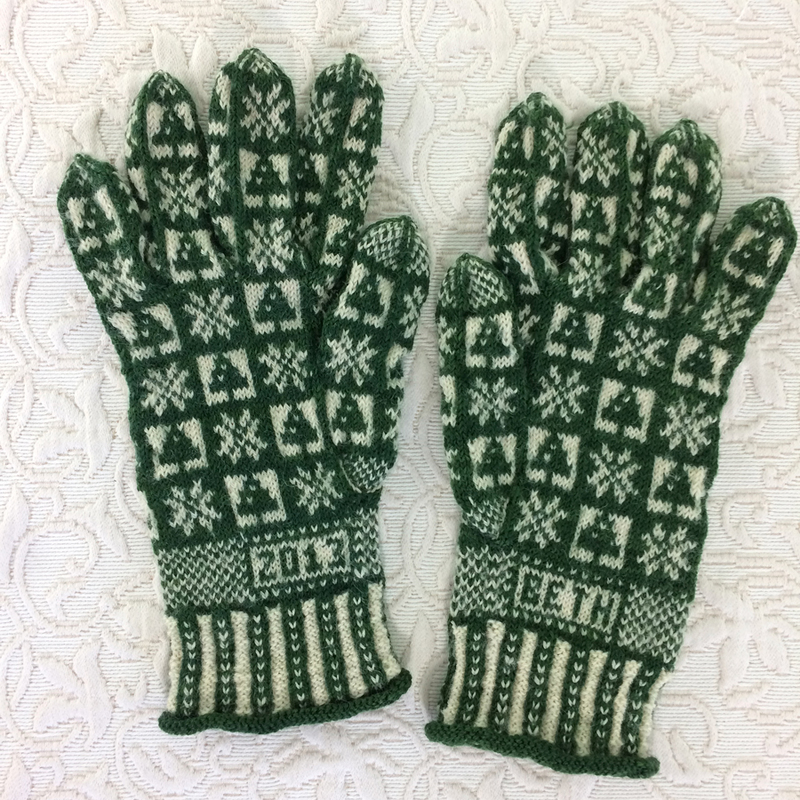 Pine trees and snowflakes adorn the small boxes of pattern as the gloves are knitted in the traditional fashion on small double-pointed needles. (Because of the architecture of these gloves, sizing is varied by changing needles sizes.) This yarn kit includes 4 (6) skeins of yarn and the pattern. 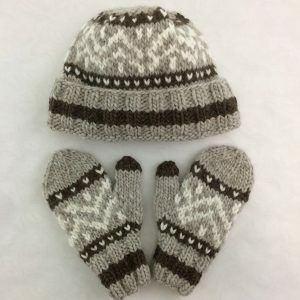 Included in the pattern are an alphabet and number chart for the wearer’s initials and date. 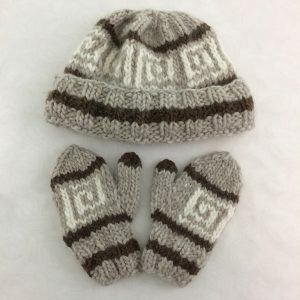 The pattern is written for six sizes: four skeins of yarn are sufficient for the sizes XXS through M. The two largest sizes for Men (L and XL) requires one more skein of each color of yarn. My pattern Winter is complemented by these lovely, vividly hand dyed yarns. 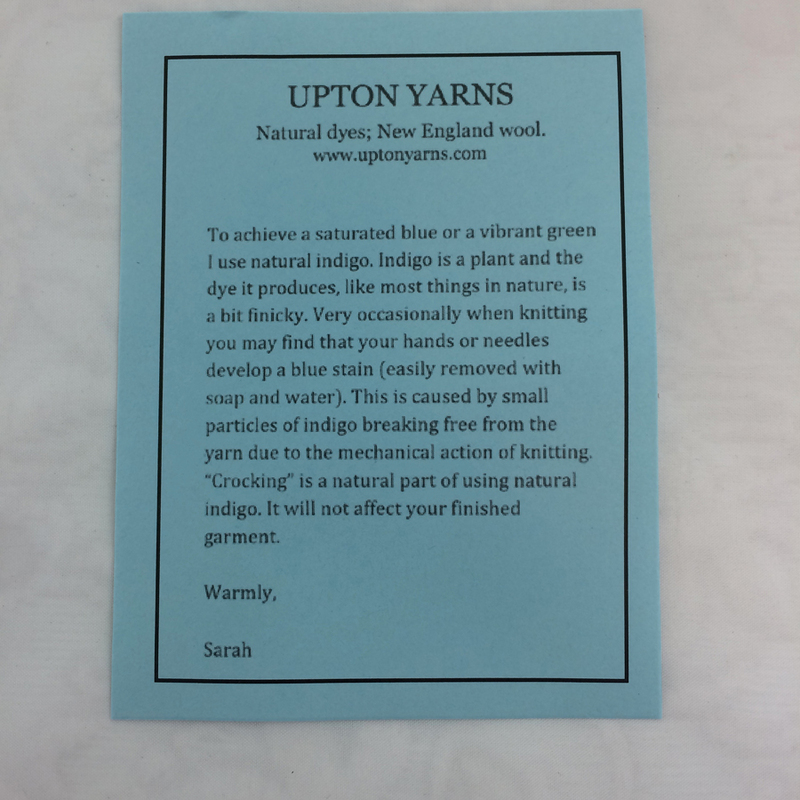 The green is made of indigo and another dyestuff and can “crock” (rub off on your hands) as you knit. 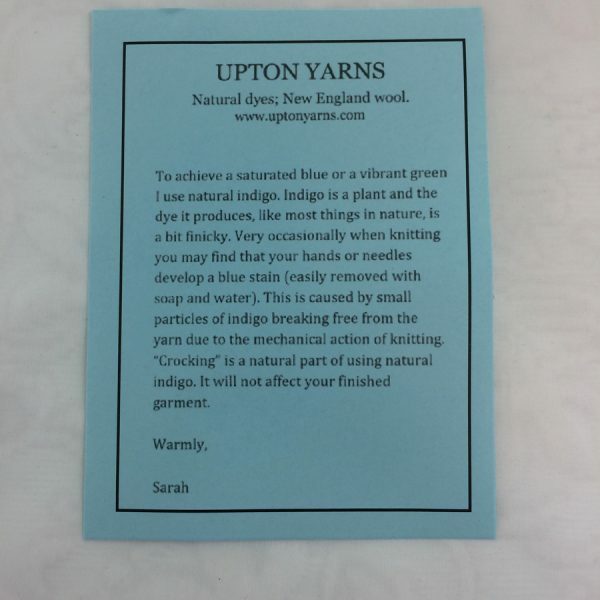 This is merely the surface indigo sloughing off and will not bleed color to the other yarns. Soap and water removes the crocking from your hands. 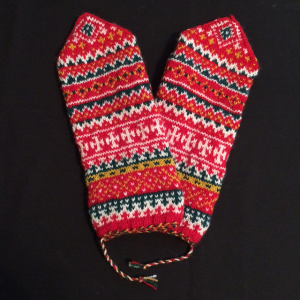 You may also be interested in purchasing my video about Sanquhar gloves, which has this pattern included on it. 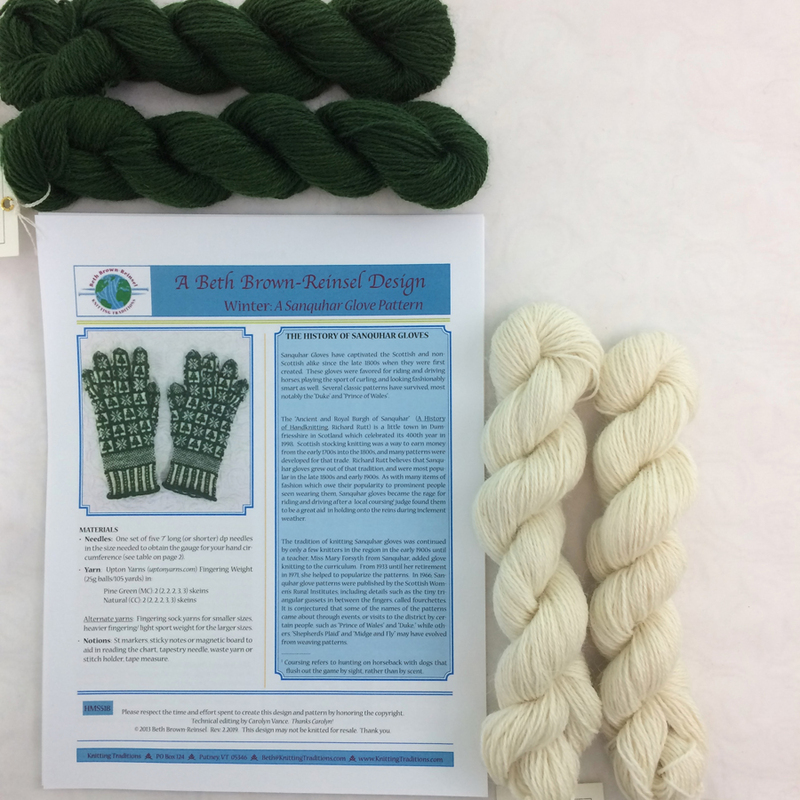 It is available as a digital download from Interweave.com.